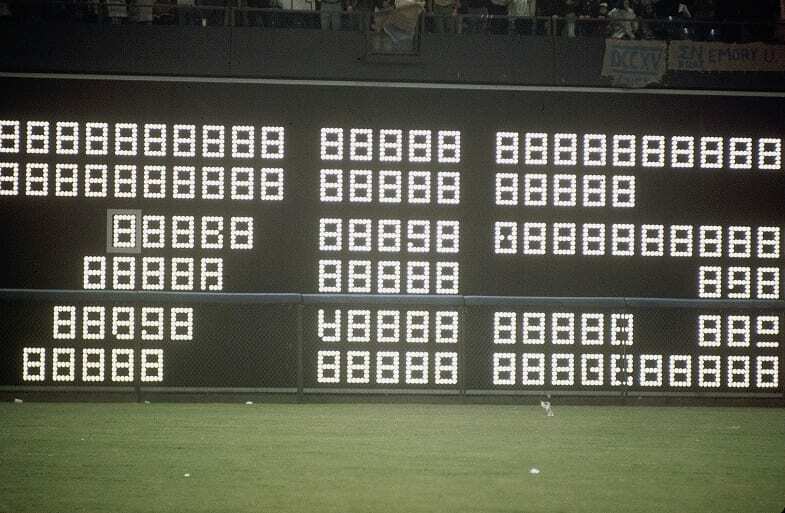 April 8, 1974: Four days after he tied Babe Ruth’s record of 714 home runs, the Atlanta Braves Hank Aaron hit the 715th home run of his career, officially breaking The Sultan of Swat’s record. The blast to left-center field came during the fourth-inning, while the Dodgers were leading 3-1. With one man on, Aaron faced Al Downing and hit a 1-0 pitch to reach No. 715 and tie the game in front of a sellout crowd of nearly 54,000 fans. April 8, 1975: On April 8, 1975, Frank Robinson made history, debuting as the first African American manager in baseball. Robinson was a player-manager for the Cleveland Indians, and wrote himself in as DH in that Opening Day match up against the NY Yankees. He hit a first inning home run in the 5-3 win over the Bronx bombers. 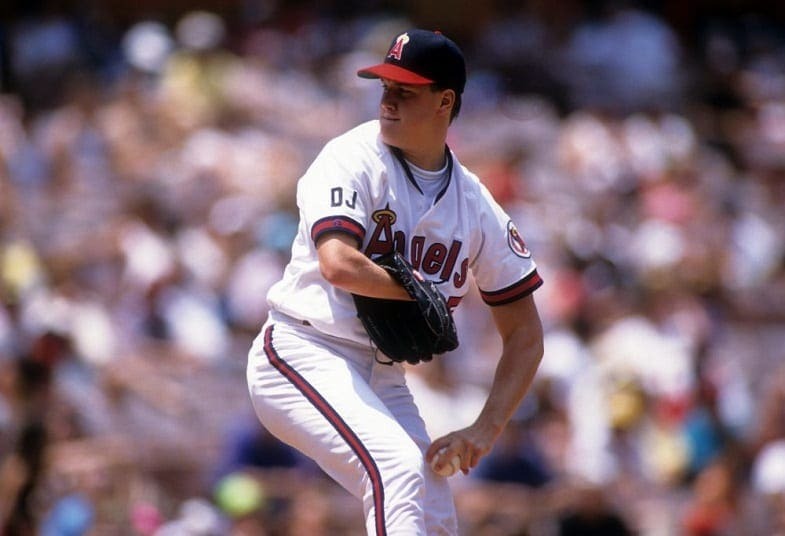 April 8, 1989: Jim Abbott made his debut on April 8, 1989 as the first one-handed pitcher in modern history. The 21-year-old pitcher received a standing ovation from the Anaheim crowd of nearly 47,000 fans despite giving up six runs. Abbott’s debut was a disappointing one for the Angels, who lost 7-0, but the defense shared a big part of the blame. April 9, 1912: The first pitch ever thrown at Fenway Park in Boston was tossed on April 9, 1912, during an exhibition game between the Red Sox and Harvard. The game took place just 11 days before Opening day, which was to feature a match up with the NY Yankees (then Highlanders), and parts of the park were still being erected. 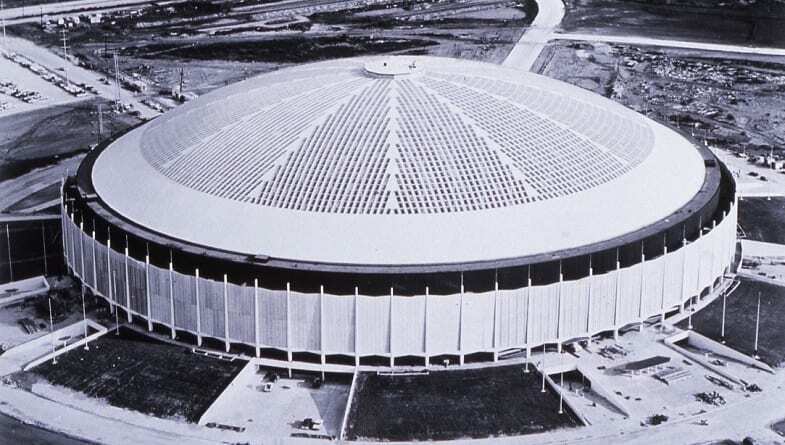 April 9, 1965: On April 9, 1965, the first ever game was played at the Astrodome in Houston. It was also the first ever baseball game played indoors. The Astros were facing the NY Yankees in an exhibition game. New York’s Mickey Mantle recorded the first ever hit in the Dome, a single, and then the first ever home run, but the Astros emerged victorious, winning the game 2-1. April 9, 1978: The final day of the 1978 NBA regular season, April 9, was a big night for two guys. In separate games, David Thompson and George Gervin scored 73 and 63 points respectively. Thompson’s 73 were part of a losing effort for the Denver Nuggets, who finished the season with a 139-137 loss. Gervin’s Spurs also lost, 153-132 to the Utah Jazz. April 11, 1989: Philadelphia Flyers’ Ron Hextall became the first goalie to ever score a goal in a playoff game on April 11, 1989. Hextall hit an empty net goal against the Washington Capitals, with his team already up 7-5. Two years earlier he had become the first goalie to ever score a goal in the NHL (though previously the Islanders Billy Smith was given credit for a goal after his opponent scored an own goal and Smith happened to be the last Islander player to have made contact with the puck). April 12, 1980: On April 12, 1980, the US Olympic Committee voted to back President Carter’s call for a boycott of the upcoming summer Olympics in Moscow. Carter argued that the United States could not support the Olympics in Moscow after the Soviet Union invaded Afghanistan just months earlier, in December 1979. More than 60 other countries would join the boycott. April 13, 1954: On April 13, 1954, MLB legend Hank Aaron made his major league debut with the Milwaukee Braves. It wasn’t a glamorous start, to say the least. Aaron went 0-for-5 in Milwaukee’s 9-8 loss to Cincinnati. Back then he wore a No. 5 jersey, not his 44, and batted fifth in the Braves lineup. April 13, 1963: Pete Rose’s first major league hit was one to remember. A day before his 22nd birthday, the Cincinnati Reds rookie tripled in the bottom of the eighth inning against the Pittsburgh Pirates. The first of his 4,256 career hits. April 13, 1986: On April 13, 1986, the Boston Celtics played their final game of the 1985-86 season, a 135-107 win over the New Jersey Nets. The win marked their 67th W of the season, and their 40th win at home, setting a new record for a 40-1 home season. It took 30 years for a team to match the record; the San Antonio Spurs finished with a 40-1 record during the 2015-16 season. April 14, 1969: The Montreal Expos played their first ever home game on April 14, 1969, after opening their inaugural season with two away series in New York and Chicago. The Expos faced the Cardinals in a two-game series, winning the first game 8-7.